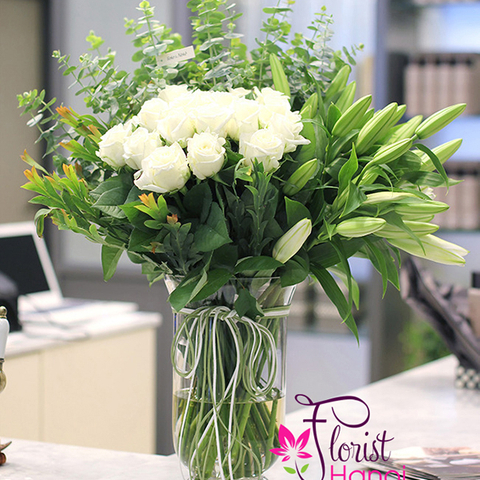 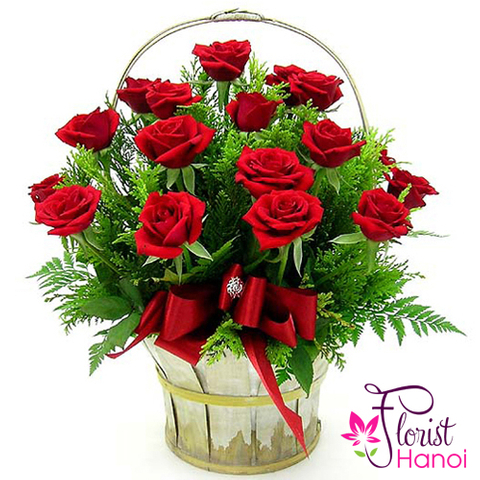 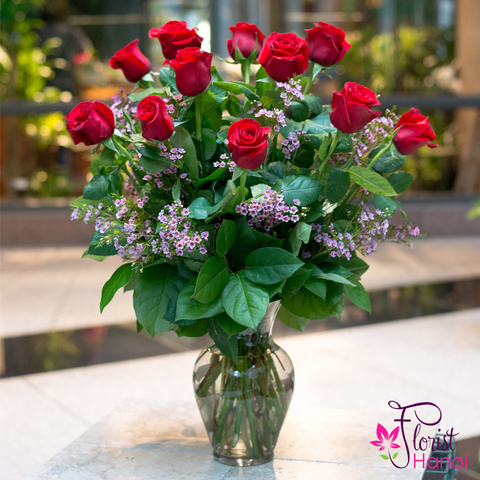 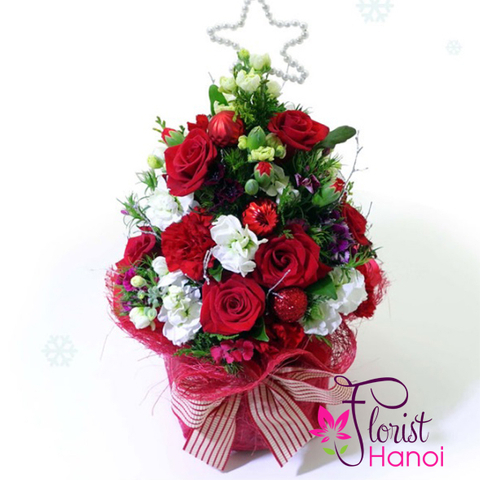 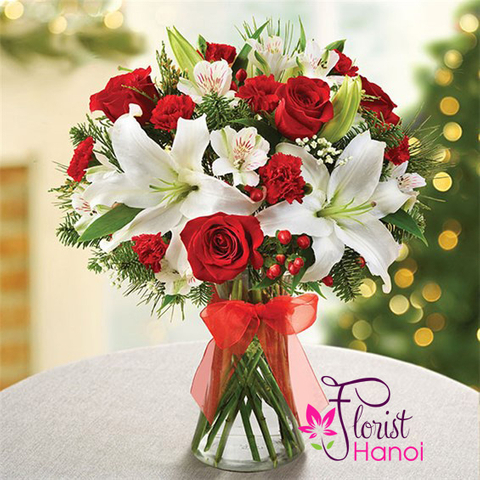 Make them merry with this sweet bouquet! 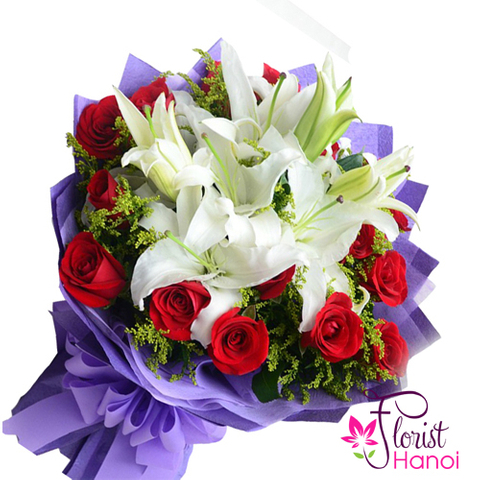 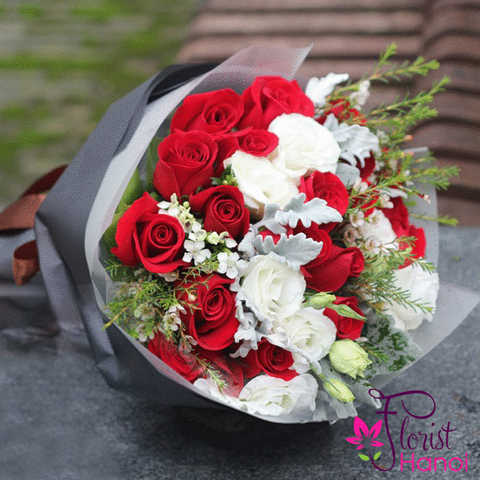 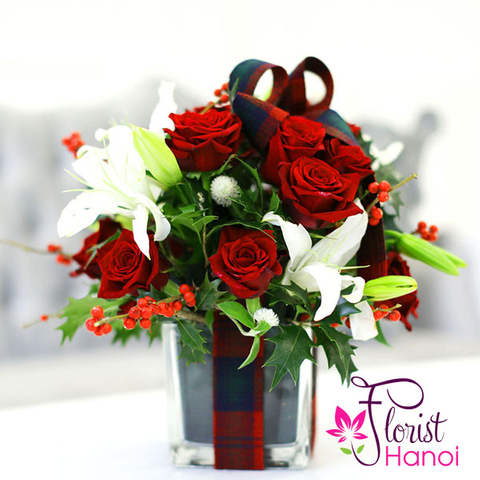 Red roses and white roses are beautiful presented. 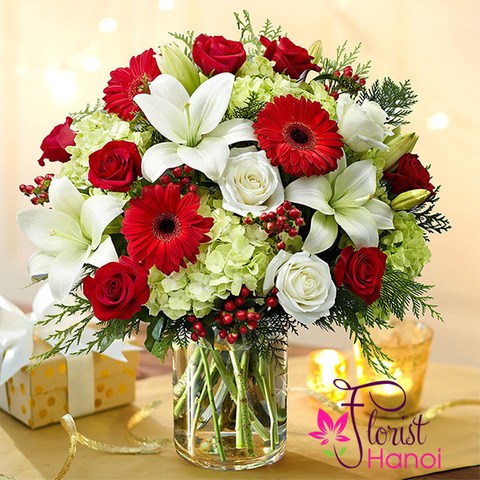 Send a sweet holiday message with this seasonal bouquet. 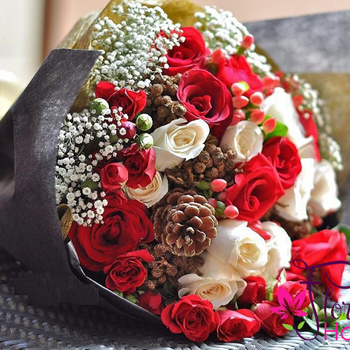 With decorative pine cones and floral colors that represent the holidays, your friend or family member will adore this gift.